It's a lovely Sunday out but I'm feeling super lazy so I'm laying low and staying in to catch up on some zzz's, Mad Men, and reading. 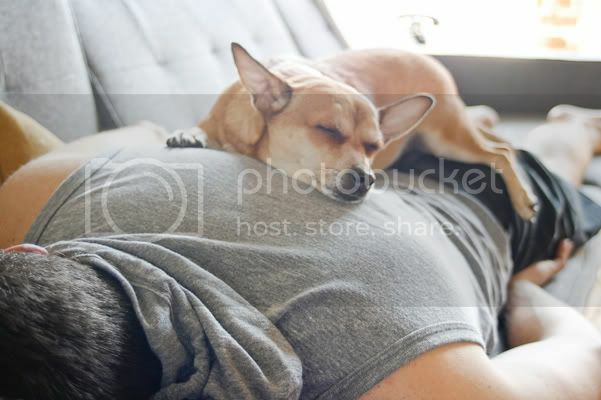 Beatrice is also feeling pretty lazy too, snuggling on top of my heartmate's back while he's taking a mini nap. So adorable.